Speaking of staples, I just spruced up my khakis game with these A.L.C. 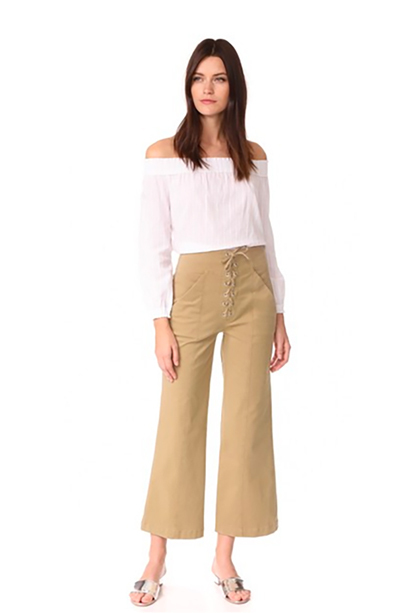 lace-up, cropped pants. They're perfectly stretchy (read: ultra comfy!) and amazingly flattering. I'll be breaking them in tomorrow on a 4th-grade field trip to Sacramento. Wish me luck!